Mini lemon cupcakes with the silkiest lemon buttercream. 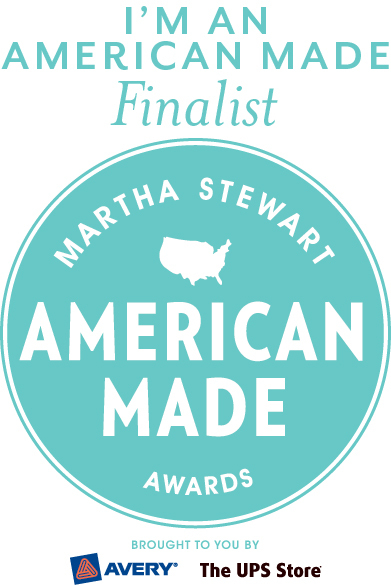 First off, for those of you who don’t already know, I’m a finalist for a Martha Stewart American Made Award! Not only is this an honor, but it is also an amazing opportunity. The winner will be selected based on VOTES and will be honored at the American Made event in New York City AND appear in Martha Stewart Living Magazine. On top of that, Keep It Sweet Desserts would get $10,000 to help grow the business. It couldn’t get much better than that. Please help me by voting EVERY DAY from now through September 24th! I’ve been doing pretty well so far, but can use a little extra push in the contest. Your support means the world to me. For those of you who have been voting, tweeting, facebooking and emailing, thank you a million times over! Now, onto cupcakes. These lovelies were just one of the desserts that we enjoyed to celebrate my husband’s 29th birthday. His birthday is today (HAPPY BIRTHDAY MATT!!!!!! ), but we had our families over to celebrate on Sunday night. Dinner was all about the meat: hot dog appetizers (full-size, not mini); burgers; and two different cuts of steak. There was also a side of mashed potatoes, tomatoes and mozzarella and a chopped salad. To my vegetarian friends, please know that we bought high quality meat that came from well-treated animals. And yes, Matt did eat all of the different items we served. I, however, had my once-a-year cheeseburger and lots of salad on the side. Lucky for me, my meat-loving husband also loves dessert. I like to take credit for his refined sweets palate and discretion over worth-it desserts but he should also get credit for the quality of all of the Keep It Sweet Dessert cookies and bars. He is an MVP taste-tester. But I digress. As for the birthday desserts, it was a menu of all things Matt loves: Yellow layer cake with chocolate buttercream frosting, warm salted chocolate chip cookies AND warm chocolate chip cookie cheesecake (Thank, MOM!) just out of the oven, and finally these Mini Lemon Cupcakes with Perfect Silky Buttercream. While I would never request a lemon dessert for my birthday, I’m glad that Matt did! These cupcakes were the perfect balance of lemon flavor without an intensely sweet or overly sour note to them. If anything, Matt thought there could have been a little more lemon in the frosting, but I really wanted it to just compliment the cake, not overtake it. These cupcakes looks fantastic!! Love it! I think I would die lol! Congratulations!!! I’m so stinkin’ happy for you, and you deserve it. These cupcakes look amazing. Happy bday, Matt! I’m going over to vote right now. Fingers crossed! I was going to say, Matt must have been the one who requested these cupcakes because I know you aren’t a serious lemon lover! They are adorable though. Everything you made sounds amazing! You are now the official planner of my next birthday extravaganza. Oh wow! Congratulations for being a finalist! So exciting! I just voted for you on Martha Stewart! :) BTW, these cupcakes look amazing!! That is so awesome Lauren- congrats!!! Also- these cupcakes are adorable and that buttercream looks silky and delicious! Congratulations on being recognized for your amazing acheivements! I voted for ya! Good luck and your mini lemon cupcakes look perfect! You’re such a star Lauren, I’m going to keep voting every day! Woo! Love these little lemon cakes, that buttercream sounds wonderful too. Yay you are the best! You just have to win this award, Lauren! I’m pulling for you!! As for the cupcakes, yes…yes…Yes! :D I adore lemons (almost obsessively). These cupcakes look like sheer bliss. Congratulations for getting this far! That’s a great accomplishment! These cupcakes look fantastic. I love lemony desserts so these have me drooling. Congrats on being a finalist! I’m definitely voting for you!!!! Congratulations! I will certainly vote for you. These cupcakes look sweet and tasty, by the way! Thank you for sharing with me and making my morning all the more delicious. I hope you have a great end to your week.